Cheese Stuffed Shells 32 oz. 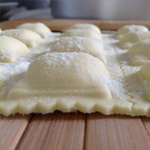 The cheese filling in our shells is a Full Cream Ricotta Cheese, Mozzarella Cheese, and Imported Parmesan Cheese combination, specially blended to produce a very firm, low moisture filling after baked. 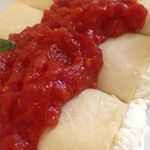 This filling is overstuffed into our pasta Shells. 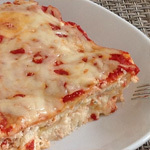 Layer in a baking pan with Tomato or Meat sauce and enjoy!